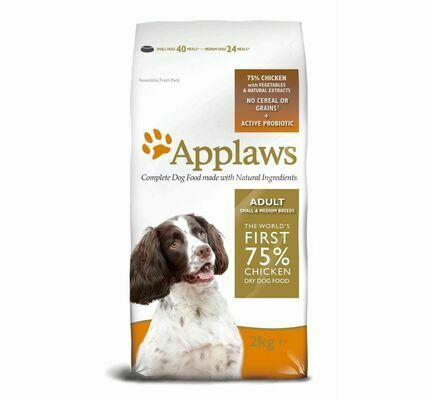 Containing over 75% meat, Applaws Small & Medium Breed Adult Chicken Dry Dog Food is rich in the kind of protein that a dog's body has evolved to be able to digest and work with; making it superior to cereal based dog foods. 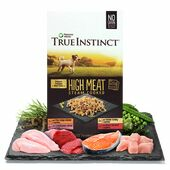 As well as being higher in protein, this food is also low in carbohydrates to help prevent hyperactivity & obesity. 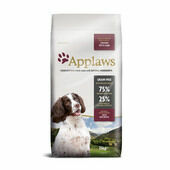 This hypoallergenic dog food is also free from artificial colourings, flavours and preservative, so you can rest easy knowing that the food you are feeding your dog is made using only the highest quality, natural ingredients. 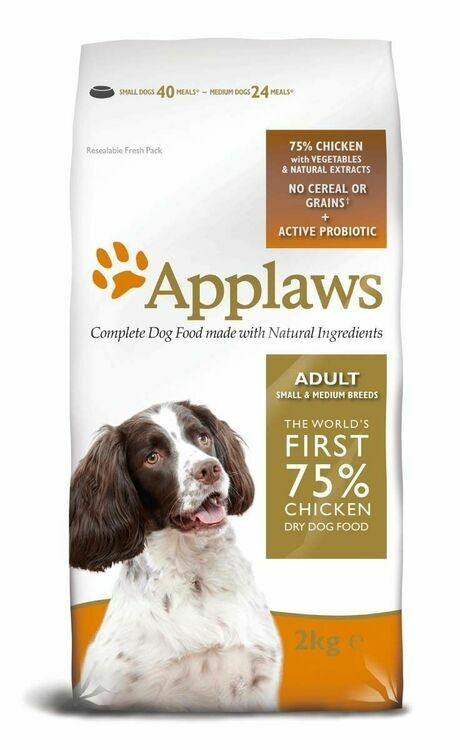 This has a positive impact on the standard of nutrition contained in the dog food, and is the reason that it is able to help promote and maintain a healthy body and immune system.  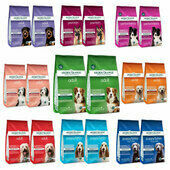 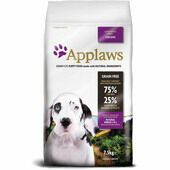 Applaws are a small, independent company who have been making natural pet food for 10 years. 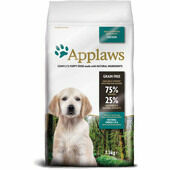 Making pet food is all they do, so they can focus 100% on doing it well. 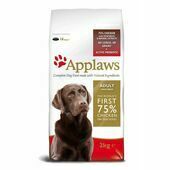 They promise to only use the finest, freshest ingredients and to never add unnecessary additives, colours or preservatives to their food. 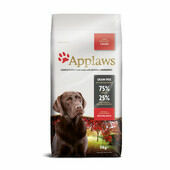 All of Applaws' products are 100% natural and grain free, without compromising on the taste. 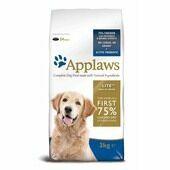 They are also accredited by the Ethical Company Organisation which goes to show the high level of standards they must meet for sourcing and handling products.